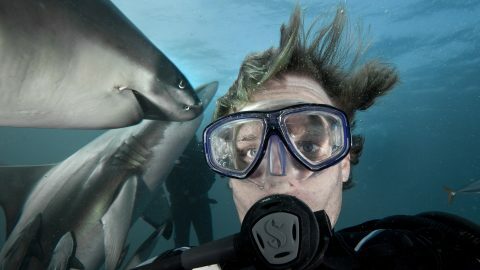 Aaron Gekoski took a dangerous selfie whilst diving with the sharks at Aliwal Shoal in South Africa. 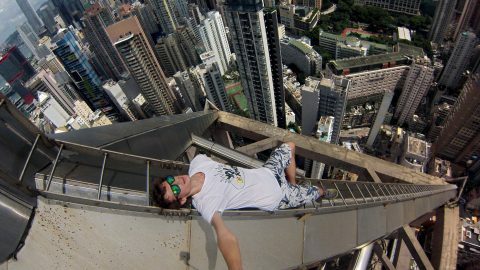 Andrej Ciesielski on top of the Hong Kong skyscraper surrounded by toxic smog. 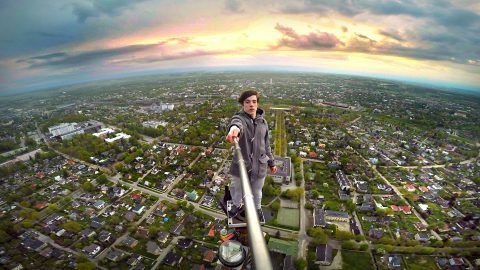 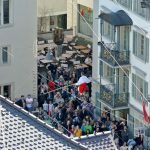 Ervin Punkar using a selfie stick to take a photo from the very top of the 600ft TV tower in Tartu, Estonia. 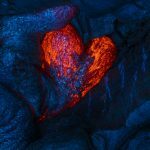 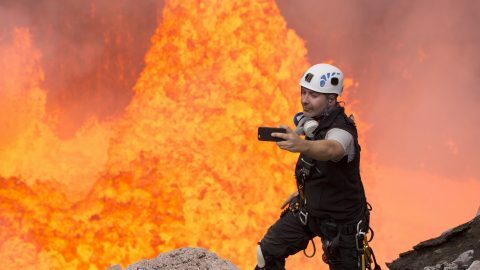 Nik Halik tries to get the perfect hot selfie in Benbow Volcano, Ambrym Island. 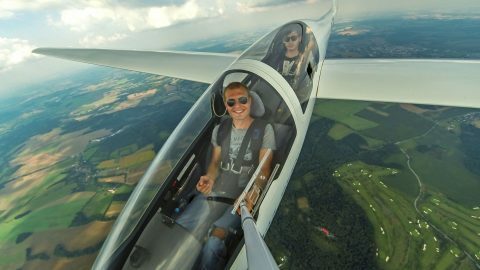 Jakub Vlk in a glider soaring in the air above Benesov Airport. 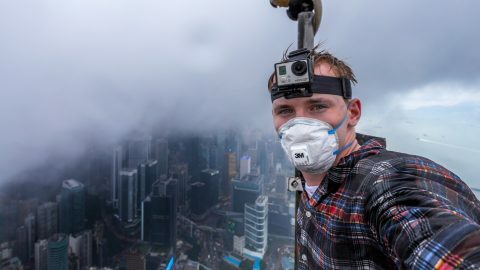 Alexander Remnov uses to selfie stick to capture a unique view of the Hong Kong skyline. 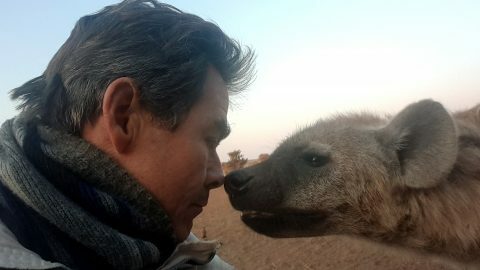 Kim touching noses with a wild Hyena in the Mashatu Game Reserve in Botswana.